Box Text: Your first day in Animal Crossing... Meet the Neighbors. Visit the city. Style your life. Hang out with friends over Nintendo WFC. Get a makeover. Now go live the other 364 days! 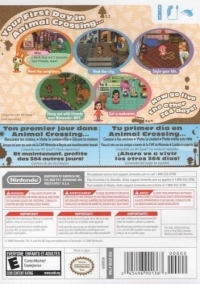 10-01-2011 empovyle Box Text Your first day in Animal Crossing... Meet the Neighbors. Visit the city. Style your life. Hang out with friends over Nintendo WFC. Get a makeover. Now go live the other 364 days! 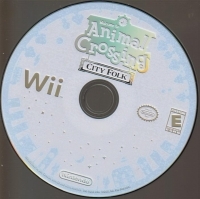 This is a list of VGCollect users who have Animal Crossing: City Folk in their Collection. This is a list of VGCollect users who have Animal Crossing: City Folk in their Sell List. 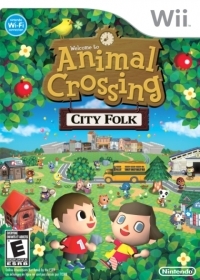 This is a list of VGCollect users who have Animal Crossing: City Folk in their Wish List.